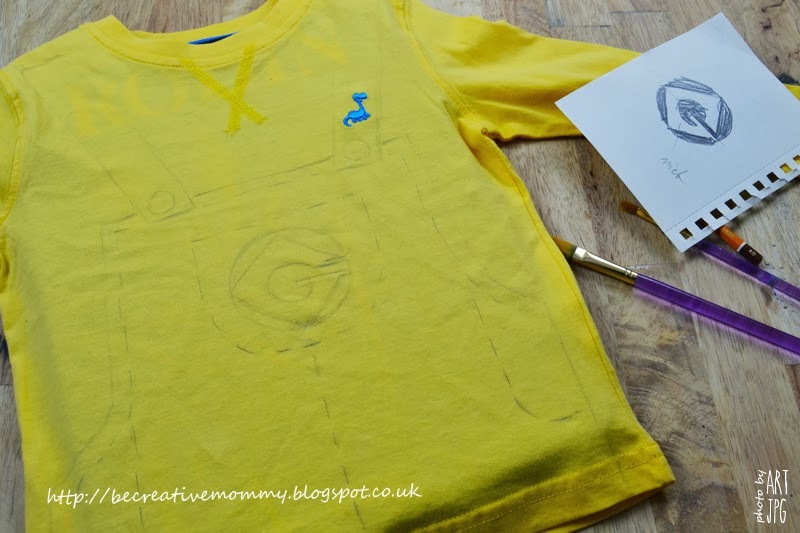 Be Creative Mummy / UK lifestyle Blog / Crafts: Homemade Minion long sleeve shirt. 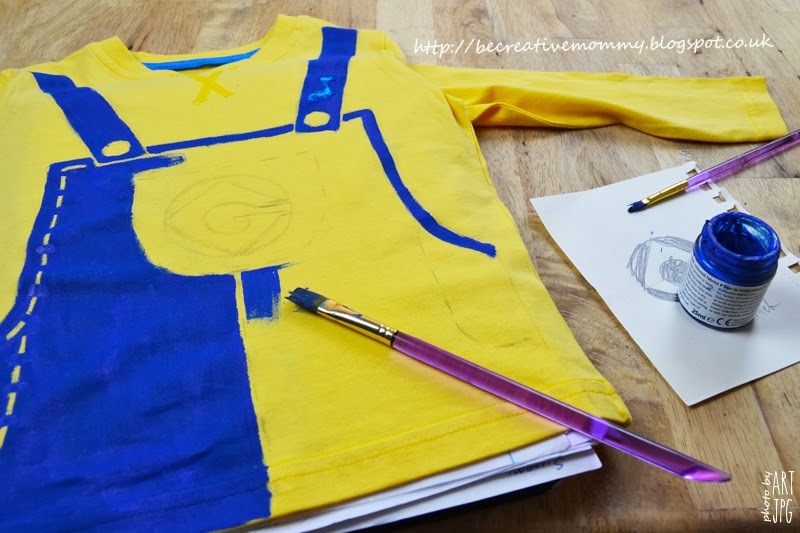 Homemade Minion long sleeve shirt. 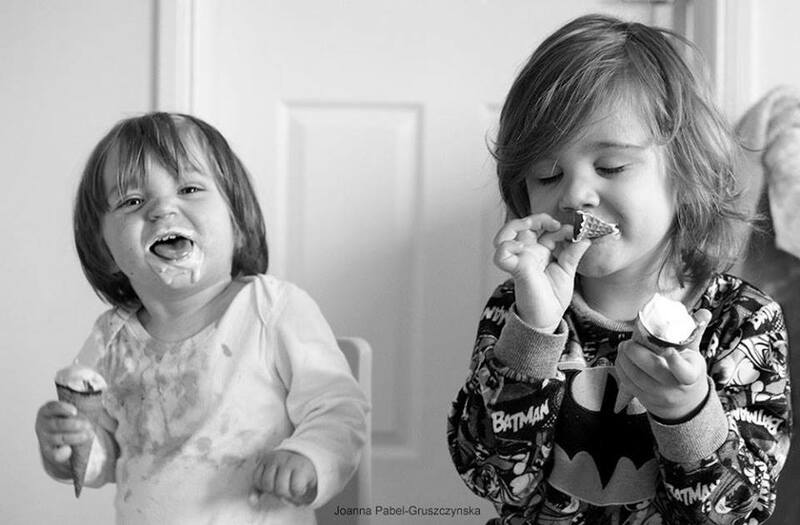 For my son's birthday was a few days, and so many things to do. So without unnecessary words, I would like to show you another thing that I made. Step 1. Sketch Minion's trousers. Step 2. Draw it on a shirt. Step 3. Remember to protect clothes in the middle! Step 4. Iron on a very hot setting. Aww this is great :-) hope you're son had a great birthday. .. Very creative! 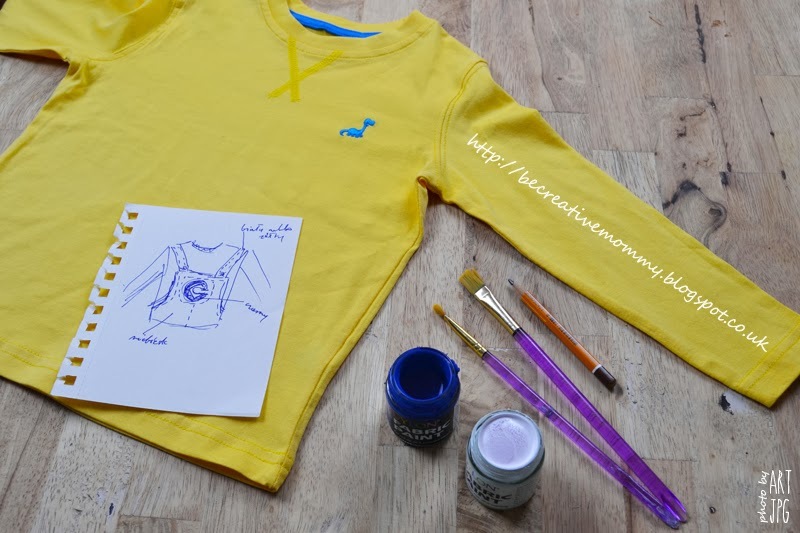 Did you use yellow fabric paint for the stitching or did you paint around the stitches with the blue paint (using the yellow of the shirt for the stitches)? How did you do the yellow stitching? 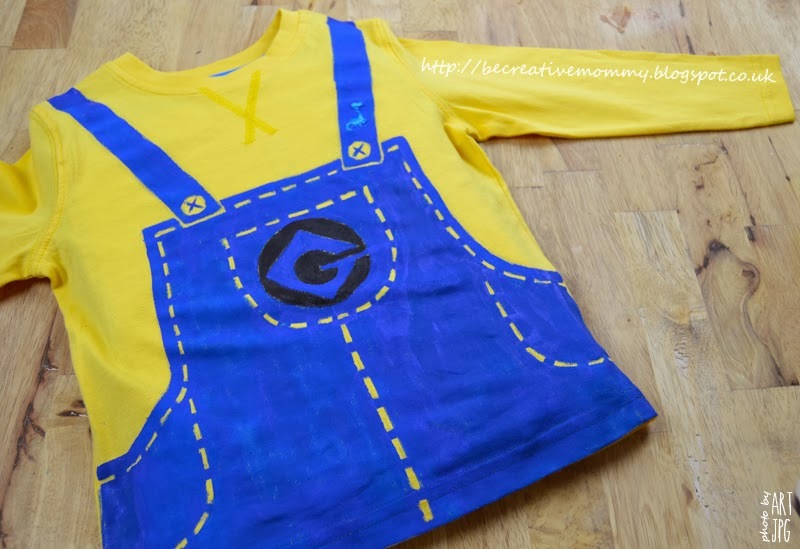 I'd like to try this for my minions costume!! Very creative btw!! Thanks for sharing. I left pieces of the original background color of the product, but if you have a problem with it, use white paint to fabrics, then paint yellow. This can be a problem after washing because it would be too much layers warb and quickly remove.